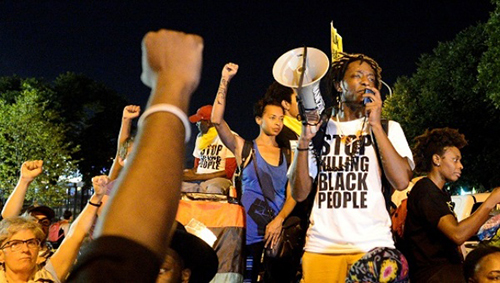 Last week, during the Democratic National Convention and with 99 days to go until the election, a coalition of over 50 black-led organizations known as the Movement for Black Lives released a wide-reaching and in-depth platform detailing the coalition’s policy demands. The “Vision 4 Black Lives,” as the platform has been known on social media, lays out six core planks around criminal justice, reparations, investment and divestment, economic justice, community control, and political power. Endorse the Movement for Black Lives platform and share it with your friends here. Policing the Planet: Why the Policing Crisis Led to Black Lives Matter, edited by Jordan T. Camp and Christina Heatherton, traces the global spread of the broken-windows policing strategy through firsthand accounts from activists, analysis from scholars and reflections from artists. See below for a round up of excerpts and interviews from the book. Policing the Planet is now 30% off including free bundled ebook and free worldwide shipping. Broken windows policing operates as a doctrine to broaden the capacities of the police and regulate the lives of the racialized poor and the working class. For the last two decades, it has been successfully exported from New York to cities across the globe, to Baltimore, Los Angeles, London, San Juan, and San Salvador. The introduction to Policing the Planet explains how broken windows policing is linked to the policing of the planet — the struggle against racism, militarism, and capital. Last month protests spilled out across the U.S. in response to the police murders of Alton Sterling in Baton Rouge, Louisiana and Philando Castile in Falcon Heights, Minnesota. Christina Heatherton and Jordan T. Camp, editors of Policing the Planet, spoke with "Unauthorized Disclosure" hosts Rania Khalek and Kevin Gosztola and discussed how incidents of police brutality relate to the everyday life of policing. Far from a race neutral response to criminality, as Camp says, policing functions as "an instrument of state violence and terror." In this interview, Jordan T. Camp and Christina Heatherton speak to Arun Kundnani about the killing of Mark Duggan and the export of US policing practices to the UK, the aggressive racialized surveillance of Muslims in the UK and US, and the need to fight against policing and surveillance as part of a larger struggle against racial capitalism. On September 29, 1982, over thirty New York City police officers raided Blue’s, a bar in Manhattan’s Times Square. The following year, activist James Credle testified at congressional hearings on police misconduct, describing the brutal beatings of the Black and Latino gay men and trans people who made up the bar’s main clientele. The event galvanized lesbian, gay, bisexual, and transgender (LGBT) activists for whom police violence was a primary concern. Although one mention of a rally made it into the New York Times, Credle noted in his testimony that the incident itself had been ignored by major media outlets, an insult certainly made worse by the fact that the bar sat across the street from the Times’ own headquarters. 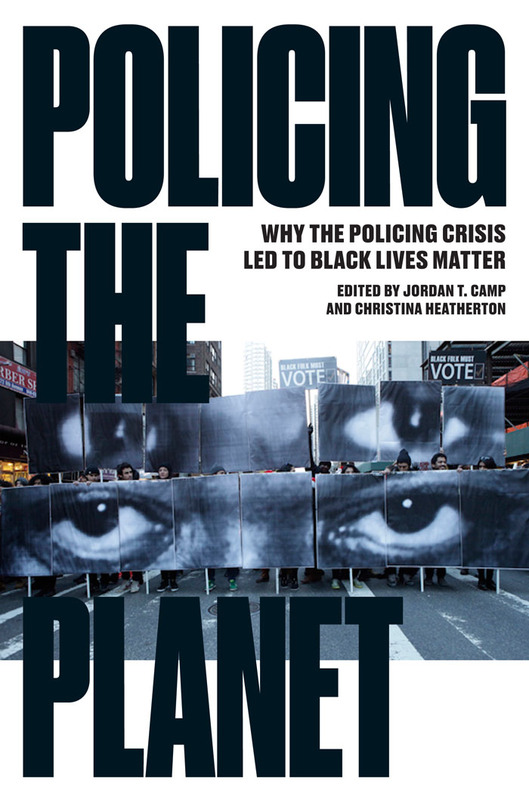 Christina Heatherton and Jordan T. Camp are the editors of Policing the Planet: Why the Policing Crisis Led to Black Lives Matter, a new collection of writing against broken windows policing and its global spread by activists, scholars, and artists. In this new Five Book Plan, Christina and Jordan present their top five books on broken windows policing. Joo-Hyun Kang is the director of Communities United for Police Reform (CPR), a campaign to end discriminatory policing practices in New York, which comprises over sixty organizational members from all five boroughs. This interview with Joo-Hyun Kang is excerpted from Policing the Planet: Why the Policing Crisis Led to Black Lives Matter, edited by Jordan T. Camp and Christina Heatherton. 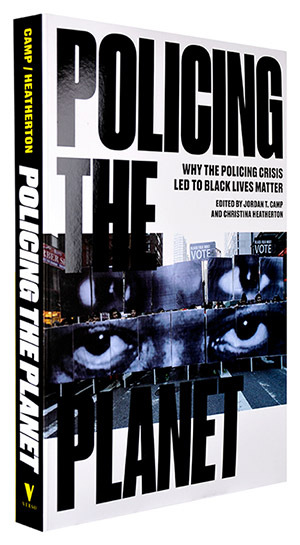 On April 26, Jordan T. Camp and Christina Heatherton, editors of Policing the Planet, moderated a discussion at the New York Public Library's Schomburg Center for Research in Black Culture between contributors Ruth Wilson Gilmore, Asha Rosa Ransby-Sporn, Arun Kundnani, and Joo-Hyun Kang. Taylor spoke about the Black liberation movement and the current and historical struggles of African Americans against police violence and for equal rights. This event was part of the In Pursuit of Cultural Freedom series and took place at Socialism 2016. Support the Movement for Black Lives platform here.